Otama Beach Hideaway is unique in this exclusive area ... A luxurious ocean view studio apartment complete with kitchenette, ensuite bathroom, large private deck, and BBQ. 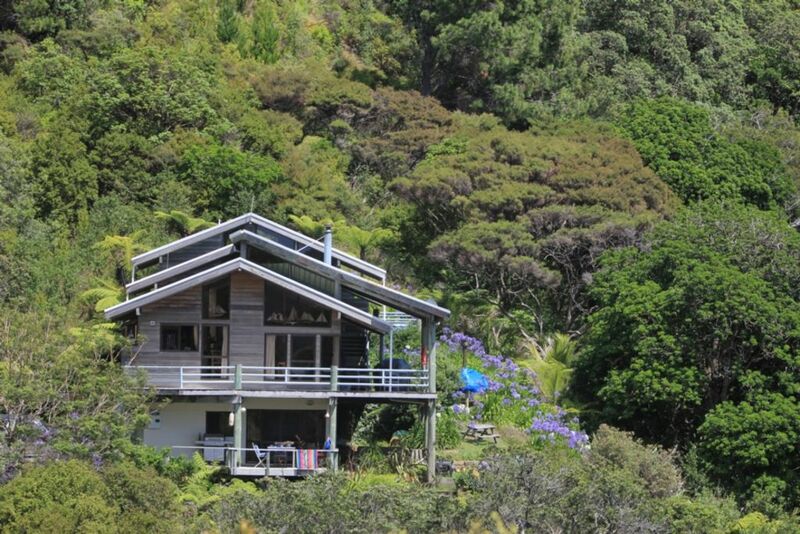 Stunning views - overlooks the bush out to the beautiful white sand beaches and pristine native dunes of Otama Beach. Our bush settings add to the uniqueness of this location. Walking to the beach enhances this romantic accommodation. If you are looking to just relax, rest, read a book or have a romantic getaway Otama Beach Hideaway is the place to stay. We are surrounded by DOC reserve so the abundance of native birds and a few little piggies will make your stay a special experience. Location was perfect! Amazing and quiet beach with clear water and very white sand. Location was perfect! Amazing and quiet beach with clear water and very white sand. Could hear the waves from the apartment 24/7. Great view having breakfast from the deck. Just a couple of minutes walk down to the beach. Cosy studio apartment with everything there we needed. Having the cat around made it homely. Its quiet restful surrounds and proximity to white sandy beaches. Amazing view, great place for relaxing weekend, Otama beach is stunning, white squeaky sand, crystal blue water, great place to base yourself to explore the surrounding area. Very pretty. Accommodation is lovely, nice homely feel rather than a sterile hotel feel - very welcoming place. Would go back tomorrow!